Description: The Coffee Liqueur is made from roasted Arabica coffee beans, which are well known for their mild and aromatic flavour. The coffee flavour is balanced with a vanilla aroma made from vanilla pods from Madagascar and a citrus aroma made from biological oranges. Colour: This liqueur has an intense dark brown colour. Smell: A subtle aroma of roasted coffee and hints of orange and vanilla all combine into one rich and unique smell. 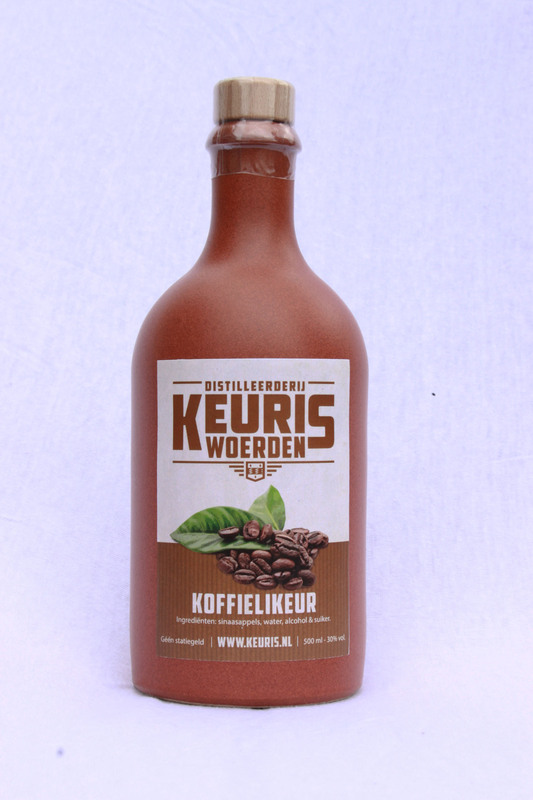 Taste: The Coffee Liqueur has a mild and fragrant flavour of Arabica coffee beans. Also the earlier mentioned vanilla and citrus flavours can be well distinguished. The taste experience as a whole is pleasant and combines well as an aperitif with a cup of coffee. Aftertaste: The aromatic flavour of coffee and a hint of vanilla result in a sweet and rich aftertaste, which remains for quite some time.